Jerome Everton Taylor (born 22 June 1984) is a Jamaican cricketer who plays internationally for the West Indies. In July 2016, he announced his retirement from Test cricket after giving 'formal notification' of his decision to retire. However, in April 2017, he announced the end of his retirement, making himself available for the West Indies squad for their Test series against Pakistan. After just one match playing for Jamaica, he was called into the West Indian series for the final match against Sri Lanka in 2003. 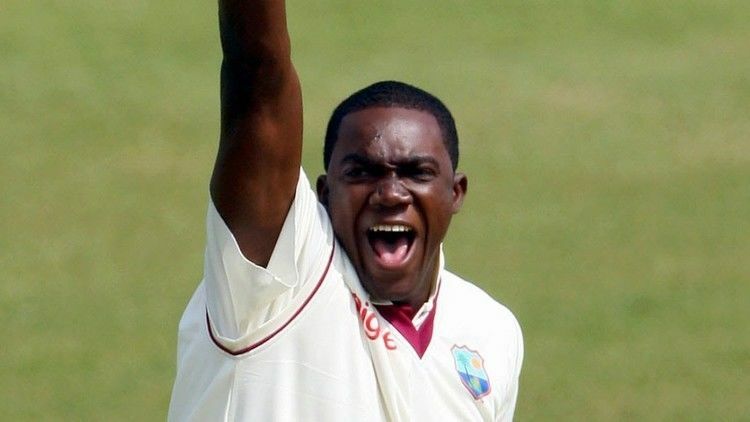 Taylor had been named the most promising fast bowler of the Carib Beer series of 2003, after picking up 21 wickets for a 20.14 run average, which included a haul of 8 for 59, Taylor's first ever ten-wicket match haul. Taylor established himself in the ODI side with wickets during 2006, and was West Indies' leading wicket-taker during the DLF Cup in Malaysia, with eight wickets. He was selected for the 2006 Champions Trophy and after four wickets in the preliminary games against Zimbabwe and Bangladesh. Taylor took a hat-trick in West Indies' opening group game against Australia, becoming the first West Indian to achieve such a feat in an ODI. With 21 runs required and 14 balls remaining, Taylor had Michael Hussey (then ranked as the world's best ODI batsman) bowled for 13, then dismissed Brett Lee lbw on the next ball. That was the end of the over, but he returned to bowl the final over, bowling Brad Hogg to complete the hat-trick. Earlier, Taylor had bowled Ricky Ponting, the fourth-ranked batsman in the world, for 1, and he finished with four for 49, at the time his second-best ODI career figures. And in the second Test against Pakistan in Multan in November 2006, he got 5 wickets in the first innings for 91 runs. Taylor joined English side Leicestershire for the end of the 2007 season as a replacement overseas player. His stay in county cricket being paid for by West Indies sponsors Digicel. 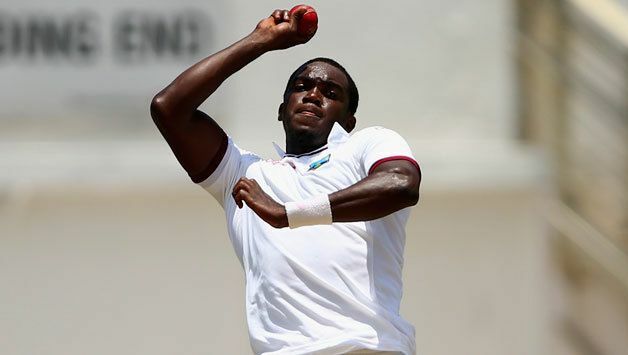 Throughout the year 2008, Jerome Taylor has evolved to become the West Indies' premier and most reliable fast bowler, who spearheads a fast bowling arsenal comprising Fidel Edwards, Daren Powell and allrounder Dwayne Bravo. Along with his accuracy and pace, Taylor is reasonably economical and currently has the best bowling average for both Test matches and ODIs in the West Indies team. Taylor's batting aspect of the game continues to develop for the better. Many believe he has the ability to develop into a useful allrounder. This prospect was enhanced when Taylor scored his first ever First-class hundred, 106 batting at number 8 against New Zealand, in the Dunedin Test Match of December 2008 series.